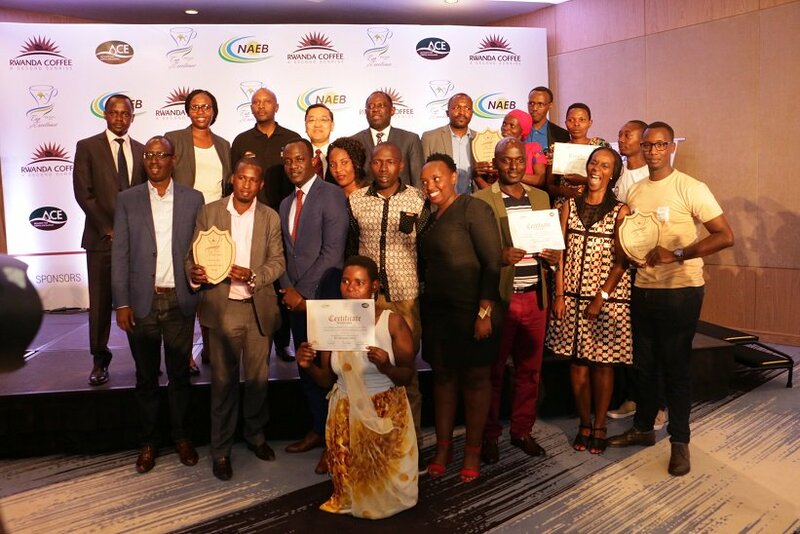 Hundreds coffee lots produced by different entities in Rwanda went through a fierce competition with three of them receiving ‘Presidential Award’ after getting highest score in quality. To secure the presidential award, coffee should score at least 90 marks out of 100 point-scale. The winning coffees are namely from Twumba Coffee, from Karongi District, Western Province (with 90.53), Mayogi Cooperative’s coffee washing station from Gicumbi, Northern Province (90.06) and Murundo Coffee Washing Station from Nyamasheke, Western Province (90.03). 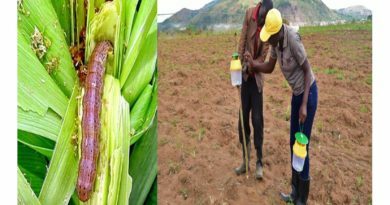 They were awarded on Friday, August 10, 2018, during a Cup of Excellence awards ceremony in Kigali, an event that coincided with Rwanda celebrating 10 years of recognising coffee farmers with best farming practices. Cup of Excellence is the most prestigious competition and award for high quality coffees. Winning coffees are chosen through a strict competition conducted by a selected group of national and international cuppers and are cupped at least five different times during the competition process. 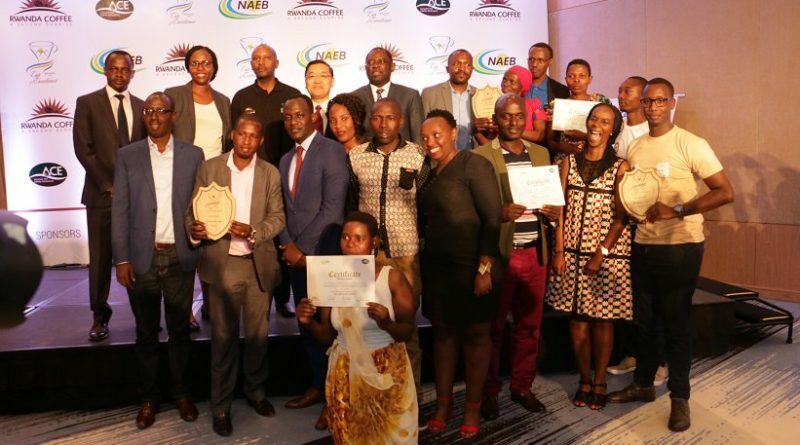 Overall, twenty eight out of 344 coffee lots that had registered for the competition were announced winners of the Cup of Excellence Award, 2018 after exceeding 86.62 marks. Gérard Mutagengwa, Managing Director of Twumba Coffee, a coffee washing station in Karongi District whose coffee scored the highest grade, said that its best performance resulted from good farming practices including harvesting ripe coffee cherries and taking them to the washing station on time, and drying them appropriately. It is the first time that his start-up has participated in the Cup of Excellence coffee contest. After securing the award, he said that its coffee is going to get known all over the world in line with marketing it, and he is going to increase volume and keep trend in achieving high quality coffee. 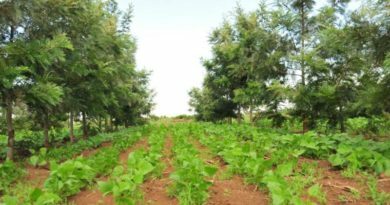 The firm has been producing about 60 tonnes of green dried coffee, which it has been selling at the local market at between $4.2 and $4.5 a kilogramme. Now, Mutagengwa said, the firm has, in its store, about 30 tonnes of the coffee from which the sample that won Presidential Award was taken. “With this award, we are able to sell our coffee beyond the local market. We are targeting to increase our coffee to about 150 tonnes this year,” he said. 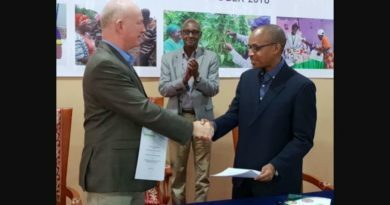 The Cup of excellence awards ceremony is organised by the Government of Rwanda in partnership with Alliance for Coffee Excellence as an opportunity to recognise and compensate individual farmers who make efforts to produce a unique flavour of Rwandan Coffee. Elin Wang, the Chief Executive of Alliance for Coffee Excellence exists to advance coffee excellence said it is by producing high quality coffee that it can be sold at good prices and be able to keep farmers in coffee business as they get good income to improve their lives. State Minister in charge of agriculture at the Ministry of Agriculture and Animal Resources, Fulgence Nsengiyumva, said “the Cup of Excellence programme builds the bridge between high quality farmers, high quality trader, and eventually the consumer,” adding it ensures that farmer’s efforts get compensated. 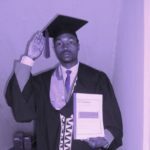 Nsengiyumva observed that coffee remains one of important cash crops which is a source of livelihoods for over 355,000 smallholder farmers in Rwanda. Since the Cup of Excellence was launched in Rwanda in 2008, the winning coffees have attracted buyers from Asia, Europe and United States of America. The Cup of Excellence has also facilitated a linkage between Rwandan coffee farmers and buyers who appreciate top quality coffee and are willing to pay a premium price for it. Best coffees are auctioned after the award ceremony and get secured by the highest bidders. For instance, the first winner coffee lot at the previous competition was sold at $84 per kilogramme. The first ever Cup of Excellence competition was held in August 2008 and continued in 2010, 2011, 2012, 2013, 2014 and 2015.